This article is about the type of dental treatment. For the anatomic term for part of a tooth, see Crown (tooth) and Dental anatomy#Crown and root. 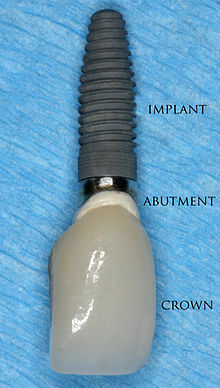 A crown, sometimes known as dental cap, is a type of dental restoration which completely caps or encircles a tooth or dental implant. Crowns are often needed when a large cavity threatens the ongoing health of a tooth. They are typically bonded to the tooth using a dental cement. Crowns can be made from many materials, which are usually fabricated using indirect methods. Crowns are often used to improve the strength or appearance of teeth. While inarguably beneficial to dental health, the procedure and materials can be relatively expensive. 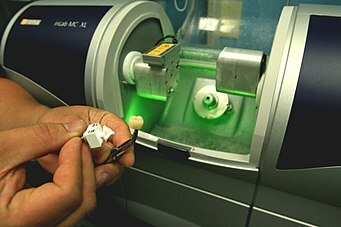 As new technology and materials science has evolved, computers are increasingly becoming a part of crown fabrication, such as in CAD/CAM dentistry. Restore the form, function and appearance of badly broken down, worn or fractured teeth, where other simpler forms of restorations are unsuitable or have been found to fail clinically. Improve the aesthetics of unsightly teeth which cannot be managed by simpler cosmetic and restorative procedures. Maintain the structural stability and reduce the risk of fractures of extensively restored teeth including those which have been endodontically treated. Traditionally, it has been proposed that teeth which have undergone root canal treatment are more likely to fracture and therefore require cuspal protection by providing occlusal coverage with a indirect restoration like crowns. This led to routine prescribing of crowns for root-treated teeth. However, recent review of literature reveals that there is no strong evidence that crowns are better than other routine restorations to restore root-filled teeth. The general advise it that dentists should use their clinical experience in view of the patient's preferences when making the decision of using a crown. 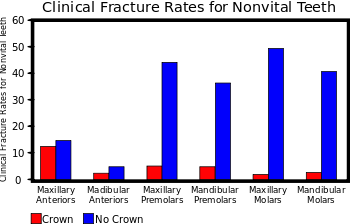 As a rule of thumb, the use crowns and other indirect restorations for root treated teeth is justified when the surface area of the access cavity exceeds one third of the occlusal surface of the tooth, when the lingual or buccal walls are undermined or when the mesial and distal marginal ridges are missing. As the name suggests, these crowns are entirely cast in a metal alloy. There are a multitude of alloys available and the selection of a particular alloy over another depends on several factors including cost, handling, physical properties, biocompatibility. The American Dental Association categories alloys in three groups: high-noble, noble and base metal alloys. Noble and high-noble alloys used in casting crowns are generally based on alloys of gold. Gold is not used in its pure form as is too soft and has poor mechanical strength. Other metals included in gold alloys are copper, platinum, palladium, zinc, indium and nickel. All types of gold casting alloys used in prosthodontics (Type I - IV) are categorised by their percentage content of gold and hardness, with Type I being the softest and Type IV the hardest. Generally, Type III and IV alloys (62 - 78% and 60 - 70% gold content respectively) are used in casting of full crowns, as these are hard enough to withstand occlusal forces. Gold crowns (also known as gold shell crowns) are generally indicated for posterior teeth due to aesthetic reasons. They are durable in function and strong in thin sections, therefore require minimal tooth preparation. They also have similar wear properties to enamel, so they are not likely to cause excessive wear to the opposing tooth. They have good dimensional accuracy when cast which minimises chair-side/appointment time and can be relatively easy to polish if any changes are required. Palladium based alloys are also used. These were introduced as a cheaper alternative to gold alloys in the 1970s. Palladium has a strong whitening effect giving most of its alloys a silverish appearance. Cast base metal alloys are rarely used to make full metal crowns. They are more commonly used as part of metal-ceramic crowns as bonding alloys. When compared to high-noble and noble alloys, they are stronger and harder; they can be used in thinner sections (0.3mm as opposed to 0.5mm) however they are harder to adjust and are more likely to cause excessive wear on real opposing teeth. Furthermore, there can be a problem with people with a nickel allergy. Titanium and titanium alloys are highly biocompatible. Its strength, rigidity and ductility are similar to that of other casting alloys used in dentistry. Titanium also readily forms an oxide layer on its surface which gives it anti-corrosive properties and allows it to bond to ceramics, a useful property in the manufacture of metal-ceramic crowns. Dental ceramics or porcelains are used for crowns manufacture primarily for their aesthetic properties compared to all metal restorations. These materials are generally quite brittle and prone to fracture. Many classifications have been used to categorise dental ceramics, with the simplest, based on the material from which they are made, i.e. silica, alumina or zirconia. Silica-based ceramics are highly aesthetic due to their high glass content and excellent optical properties due to the addition of filler particles which enhance opalescence, fluorescence which can mimic the colour of natural enamel and dentine. These ceramics, however, suffer from poor mechanical strength, and therefore often used for veneering stronger substructures. Examples include aluminosilicate glass, e.g. feldspathic, synthetic porcelain, and leucite reinforced ceramics. Mechanical properties can improved by the addition of filler particles, e.g. lithium disilicate, and are therefore termed glass ceramics. Glass-ceramics can be used alone to make all-ceramic restorations either as a single form (termed uni-layered) or can act as a substructures for subsequent veneering (or layering) with weaker feldspathic porcelain (restorations termed bi-layered). Alumina was introduced as a dental substructure (core) in 1989 when the material was slip cast, sintered, and infiltrated with glass. More recently, glass-infiltrated alumina cores are produced by electrophoretic deposition, a rapid nanofabricating process. During this process particles of a slip are brought to the surface of a dental die by an electric current, thereby forming a precision-fitting core greenbody in seconds. Margins are then trimmed and the greenbody is sintered and infiltrated with glass. Glass-infiltrated alumina has significantly higher porcelain bond strength over CAD/CAM produced zirconia and alumina cores without glass. Alumina cores without glass are produced by milling pre-sintered blocks of the material utilizing a CAD/CAM dentistry technique. Cores without glass must be oversized to compensate for shrinkage that occurs when the core is fully sintered. Milled cores are then sintered and shrink to the correct size. All alumina cores are layered with tooth tissue-like feldspathic porcelain to make true-to-life color and shape. Dental artists called ceramists, can customize the "look" of these crowns to individual patient and dentist requirements. Today, porcelain fused to alumina crowns set the standard for tooth-like appearance. Yttria-stabilized zirconia, also known simply as zirconia, is a very hard ceramic that is used as a strong base material in some full ceramic restorations. Zirconia is relatively new in dentistry and the published clinical data is correspondingly limited. The zirconia used in dentistry is zirconium oxide which has been stabilized with the addition of yttrium oxide. Yttria-stabilized zirconia is also known as YSZ. The zirconia substructure (core) is usually designed on a digital representation of the patient's mouth, which is captured with a three-dimensional digital scan of the patient, impression, or model. The core is then milled from a block of zirconia in a soft pre-sintered state. Once milled, the zirconia is sintered in a furnace where it shrinks by 20% and reaches its full strength of 850MPa to 1000MPa. The zirconia core structure can be layered with tooth tissue-like feldspathic porcelain to create the final color and shape of the tooth. Because bond strength of layered porcelain fused to zirconia is not strong; chipping of the veneering ceramic usually occurs, "monolithic" zirconia crowns are often made entirely of the zirconia ceramic with no tooth tissue-like porcelain layered on top. Zirconia is the hardest known ceramic in industry and the strongest material used in dentistry, it has to be fabricated using a CAD/CAM process but not the conventional manual dental technology. Monolithic zirconia crowns tend to be opaque in appearance with a high value and they lack translucency and fluorescence. For the sake of appearance, many dentists will not use monolithic crowns on anterior (front) teeth. To a large extent, materials selection in dentistry determine the strength and appearance of a crown. Some monolithic zirconia materials produce the strongest crowns in dentistry (the registered strength for some zirconia crown materials is near 1000MPa. ), but these crowns are not usually considered to be natural enough for teeth in the front of the mouth; though not as strong, some of the newer zirconia materials are of better appearance, but they are still not generally as good as porcelain fused crowns. When porcelain is fused to the zirconia core, these crowns are more natural than the monolithic zirconia crowns but they are not strong. By contrast, when porcelain is fused to glass infiltrated alumina, crowns are very natural-looking and very strong, though not as strong as monolithic zirconia crowns. 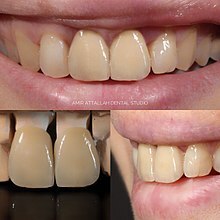 Another monolithic material, lithium-disilicate, produces extremely translucent leucite-reinforced crowns that often appear to be too gray in the mouth, and to overcome this, the light shade polyvalent colorants take on a distinctly unnatural, bright white appearance. Other crown material properties to be considered are thermal conductivity and radiolucency. Stability/looseness of fit on the prepared tooth and cement gap at the margin are sometimes related to materials selection, though these crown properties are also commonly related to system and fabricating procedures. Zirconia crowns are said to be less abrasive to opposing teeth than metal-ceramic crowns. These are a hybrid of metal and ceramic crowns. The metal part is normally made of a base metal alloy (termed bonding alloy). The properties of the metal alloy chosen should match and complement that of the ceramic to be bonded otherwise problems like delamination or fracturing of the ceramic can occur. To obtain an aesthetic finish which is able to be functional with normal mastication activity, a minimal thickness of ceramic and metallic material is required, which should be planned for during tooth preparation stage. Gingival retraction refers to the displacement of the free gingivae. For crowns with margins which are supragingival, there is no need for gingival retraction, provided there is good moisture control. For crown preparations which have subgingival margins, tissue control is necessary at the preparation stage and impression stage to ensure visibility, good moisture control and ensure enough bulk of impression material can be placed to accurately record the marginal areas. Another method to expose the margins of a subgingival preparation is to use electrosurgery or crown lengthening surgery. Aesthetics can also play a role in planning the design. As there are currently no biologically compatible cements which are able to hold the crown in place solely through their adhesive properties, the geometric form of the preparation are vital in providing retention and resistance to hold the crown in place. Within the context of prosthodontics, retention refers to resistance of movement of a restoration along the path of insertion or along the long axis of the tooth. Resistance refers to the resistance of movement of the crown by forces applied apically or in an oblique direction which prevents movement under occlusal forces. Retention is determined by the relationship between opposing surfaces of the preparation (e.g. the relationship of the buccal and lingual walls). Theoretically, the more parallel the opposing walls of a preparation, the more retention is achieved. However this is almost impossible to achieve clinically. It is standard for preparations for full coverage crowns to slightly taper or converge in an occlusal direction. This allows the preparation to be visually inspected, prevent undercuts, compensate for crown fabrication inaccuracies and allow, at the cementation stage, for excess cement to escape with the ultimate aim of optimising the seating of the crown on the preparation. Generally axial walls prepared using a long tapered high speed burs confer a 2 - 3° taper on each wall and an overall 4 - 6° taper to the preparation. As taper increases, retention decreases so taper should be kept to a minimum whilst ensuring elimination of undercuts. An overall taper of 16° is said to be clinically achievable and being able to fulfil the aforesaid requirements. Ideally, the taper should not exceed 20 degrees as will negatively impact retention. Occluso-gingival length or height of the crown preparation affects both resistance and retention. Generally, the taller the preparation, the greater the surface area is. For the crown to be retentive enough, the length of the preparation must be greater than the height formed by the arc of the cast pivoting around a point on the margin on the opposite side of the restoration. The arc is affected by the diameter of the tooth prepared, therefore the smaller the diameter, the shorter the length of the crown needs to be to resist removal. Retention of short-walled teeth with a wide diameter can be improved by placing grooves in the axial walls, which has the effect of reducing the size of the arc. Retention can be improved by geometrically limiting the number of paths along which the crown can be removed from the tooth presentation, with maximum retention being reached when only one path of displacement is present. Resistance can be improved by inserting components like grooves. Fractures of endodontically treated teeth increase considerably in the posterior dentition when cuspal protection is not provided by a crown (after 1 to 25 years). Preparing a tooth to accept a full coverage crown is relatively destructive. The procedure can damage the pulp irreversibly, through mechanical, thermal and chemical trauma and making the pulp more susceptible to bacterial invasion. Therefore, preparations must be as conservative as possible, whilst producing a strong retentive restoration. Although it may be seen as contradictory to the previous statement, at times, sound tooth structure may need to be sacrificed in order to prevent further more substantial and uncontrolled loss of tooth structure. In order to last, the crown must be made of enough material to withstand normal masticatory function and should be contain within the space created by the tooth preparation, otherwise problems may arise with aesthetics and occlusal stability (i.e. high restorations) and cause periodontal inflammation. Depending on the material used to create the crown, minimal occlusal and axial reductions are required to house the crown. For gold alloys there should be 1.5mm clearance, whilst metal-ceramic crowns and full ceramic crowns require 2.0 mm. The occlusal clearance should follow the natural outline of the tooth; otherwise there may be areas of the restorations where the material may be too thin. For posterior teeth, a wide bevel is required on the functional cusps, palatal cusps for maxillary teeth and buccal cusps for mandibular teeth. If this functional cusp bevel is not present and the crown is cast to replicate the correct size of the tooth, bulk of material may be too little at this point to withstand occlusal surfaces. In order for the cast restoration to last in the oral environment and to protect the underlying tooth structure, the margins between cast and tooth preparation need to be as closely adapted. The marginal line design and position should facilitate plaque control, allow for adequate thickness of the restorative material chosen therefore providing enough strength for the crown at the margin. Several types of finish line configurations have been advocated, each having some advantages and disadvantages (see the table below). Chamfer finish are normally advocated for full metal margins and shoulders are generally required to provide enough bulk for metal-ceramic crowns and full ceramic crown margins. 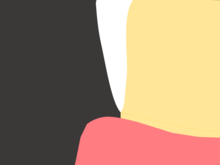 Some evidence suggests adding a bevel to margins, especially where these are heavy, to decrease the distance between the crown and the tooth tissue. Linked to marginal integrity, placement of the finish line can directly affect the ease of manufacturing the crown and health of the periodontium. Best results are achieved where the finish line is above the gum line as this is fully cleanable. They should also be placed on enamel as this creates a better seal. Where circumstances require the margins to be below the gum line, caution is required as several problems can arise. First, there might be issues in terms of capturing the margin when making impressions during the manufacturing process leading to inaccuracies. Secondly, the biologic width, the mandatory distance (roughly 2 mm) to be left between the height of the alveolar bone and the margin of the restoration; if this distance is violated, it can result in gingival inflammation with pocket formation, gingival recession and loss of alveolar bone crest height. In these cases, crown lengthening surgery should be considered. Dimensions for the crown preparation to achieve the "ferrule effect"
Endodontically-treated teeth, especially those with little sound tooth tissue, are prone to fractures. The successful clinical outcome for these teeth relies not only on adequate root canal treatment, but also on the type of restorative treatment used, including the use of a post and core system and the type of extra-coronal restoration selected.Some evidence advocates the use of a ferrule to optimise the bio-mechanical behaviour of root-filled teeth, especially where a post and core system needs to be used. In dentistry, the ferrule effect is, as defined by Sorensen & Engelman (1990), a "360° metal collar of the crown surrounding the parallel walls of the dentine extending coronal to the shoulder of the preparation". Like the ferrule of a pencil which encircles the junction between the rubber and the pencil shaft, the ferrule effect is believed to minimise the concentration of stresses at the junction of post and core, ultimately providing a protective effect against fractures. It also reduces stress transmission to the root due to non-axial forces applied by the post during placement or during normal function. The ferrule can also help preserve the hermetic seal of the luting cement. It has been suggested that protection acquired by the use of a ferrule occurs due to the ferrule resisting functional lever forces, wedging effect of tapered posts and lateral forces during post insertion. To make full use of the ferrule effect, the preparation needs to allow for a continuous band of dentine which should be at least 2 mm in height from the level of the preparation margin and with the band being at least 1 mm in thickness. It has been shown, however, that whilst the absence of a 360° ferrule can increase the risk of fracture of root-filled teeth restored with fiber post & cores and crowns, having insufficeient coronal walls poses an even greater one. Stainless steel preformed metal crowns are the treatment of choice for the restoration of posterior primary teeth. A systemic review found that it has the highest success rate (96.1%). In order to accept a stainless steel crown, the entire occlusal surface should be reduced by 1–1.5 mm and interproximally contacts should be cleared by cutting a thin mesial and distal portion or slice subgingivally by holding the tip of a thin high-speed bur at 15–20° relative to the long axis of the tooth, to avoid the creation of a shoulder. No preparation of the buccal or lingual/palatal surfaces is required. 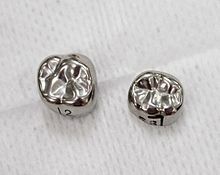 Stainless steel crowns can be made esthetic by veneering composite using the open face technique or composite veneering done after sand-blasting SSCs. Also, composite veneering can be done after preparing retentive grooves on the buccal surface of stainless steel crowns. The Hall Technique is a non-invasive treatment for decayed posterior primary teeth where caries are sealed under a preformed stainless steel crown. This technique requires no tooth preparation. It is very likely that once a tooth has been prepared and whilst waiting for the definitive restoration, the tooth preparation is fitted with a temporary crown. Temporary crowns can also play a diagnostic role in treatment planning where there is a need for occlusal, aesthetic or periodontal changes. Temporary crowns can be described as short-term, if used for a few days, medium-term, if their planned use for several weeks and long-term if their planned use is for several months. The choice in length of temporisation often relates to the complexity of restorative work planned. Short-term temporary crowns are generally appropriate for simple restorative cases whilst complex cases involving more that one tooth often require long-term temporary crowns. Temporary crowns can either be direct, if constructed by the dentist in the clinic, or indirect if they are made off-site, usually in a dental laboratory. Generally direct temporary crowns tend to be for short-term use. Where medium-term or long-term temporisation is required, the use of indirect temporary crowns should be considered. There are several materials that can be used to construct temporary crowns. Direct temporary crowns are either made using metal or plastic pre-formed crowns, chemically-cured or light-cured resins or resin composites. Indirect restorations are either made of chemically-cured acrylic, heat-cured acrylic or cast in metal. Unlike cementation of definitive crowns, temporary crowns should be relatively easy to remove. For this reason adhesive cements should not be used and softer cements are preferred. These tend to be zinc oxide eugenol cements. Once the tooth in question has been prepared with acceptable dimensions, it is equally important to make a accurate and dimensionally stable record or impression of the preparation or dental implant, surrounding hard and soft tissues as well as the opposing dental arch so that the restoration created will conform to the required dimensions and ensure the fit is as close as possible without having to make many modifications chair-side. Impressions can be made digitally or by conventional technique. With regards to conventional impression techniques, the materials selected should have appropriate physical properties and handling characteristics to allow enough detail reproduction and durability when casting a model, including the ability to withstand effective decontamination procedures. Generally, impressions of the arch where the preparation is made are in addition silicone using the "wash impression" technique; impressions of the opposing arch are made in alginate. Digital impressions can be made using dedicated optical scanners. A review suggests that digital impressions provide the same accuracy as conventional impressions and are found to be more comfortable for patients and easier for dental practitioners. The CAD/CAM method of fabricating all-ceramic restorations is by electronically capturing and storing a photographic image of the prepared tooth and, using computer technology, crafting a 3D restoration design that conforms to all the necessary specifications of the proposed inlay, onlay or single-unit crown; there is no impression. After selecting the proper features and making various decisions on the computerized model, the dentist directs the computer to send the information to a local milling machine. This machine will then use its specially designed diamond burs to mill the restoration from a solid ingot of a ceramic of pre-determined shade to match the patient's tooth. After about 20 minutes, the restoration is complete, and the dentist sections it from the remainder of the unmilled ingot and tries it in the mouth. If the restoration fits well, the dentist can cement the restoration immediately. A dental CAD/CAM machine costs roughly $100,000, with continued purchase of ceramic ingots and milling burs. Because of high costs, the usual and customary fee for making a CAD/CAM crown in the dentist's office is often slightly higher than having the same crown made in a dental laboratory. Typically, over 95% of the restorations made using dental CAD/CAM and Vita Mark I and Mark II blocks are still clinically successful after 5 years. Further, at least 90% of restorations still function successfully after 10 years. Advantages of the Mark II blocks over ceramic blocks include: they wear down as fast as natural teeth, their failure loads are very similar to those of natural teeth, and the wear pattern of Mark II against enamel is similar to that of enamel against enamel. In recent years, the technological advances afforded by CAD/CAM dentistry offer viable alternatives to the traditional crown restoration in many cases. Where the traditional indirectly fabricated crown requires a tremendous amount of surface area to retain the normal crown, potentially resulting in the loss of healthy, natural tooth structure for this purpose, the all-porcelain CAD/CAM crown can be predictably used with significantly less surface area. As a matter of fact, the more enamel that is retained, the greater the likelihood of a successful outcome. As long as the thickness of porcelain on the top, chewing portion of the crown is 1.5mm thick or greater, the restoration can be expected to be successful. The side walls which are normally totally sacrificed in the traditional crown are generally left far more intact with the CAD/CAM option. In regards to post & core buildups, these are generally contraindicated in CAD/CAM crowns as the resin bonding materials do best bonding the etched porcelain interface to the etched enamel/dentin interfaces of the natural tooth itself. The crownlay is also an excellent alternative to the post & core buildup when restoring a root canal treated tooth. At times it may be necessary to remove crown restorations to enable treatment of the tooth tissue underneath, especially to enable for non-surgical endodontic treatment of a necrotic or previously-treated pulp. Several methods are available and the choice is guided normally by the nature and quality of the crown restoration., i.e., whether it is to be retained or to be replaced. Temporary crowns are easy to remove and replace therefore do not pose problems. Before removing definitive crown restorations it is important to plan for a provisional crown, especially if the crown to be removed is expected to be damaged in the process. This usually involves making an impression of the crown so a temporary can be fabricated chair-side or made by the dental laboratory. Several tools and methods are available, which can be classified by how conservative they are to the crown Normally the tooth, if heavily damaged, should be restored prior to a new crown (whether, temporary or definitive) is fitted. Application of a matrix band which is burnished into the undercuts and pulled vertically. An ultrasonic tip can be applied to a cast metal crown to disrupt the cement lute. This method should be avoided with ceramic restorations as this may lead to fractures. Crown tractors and forceps can be used to to grip the restoration and dislodge it from the tooth preparation. Crown tractors are designed to have rubber grips and powder on their beaks to reduce the risk of damaging ceramic restorations. Crown tractors are quite effective in removing crowns luted with temporary cements. A thermoplastic pliable resin is softened in warm water then placed on the occlusal surface of the crown to be removed. The patient is then asked to bite down, compressing the resin block to two-thirds of its original thickness. The patient is then asked to open the mouth quickly, which should generate enough force to displace the restoration. This method however, is not very effective and has a risk of damaging restorations on or accidentally extracting the opposing tooth. Therefore, before using this method, it is important to look at the state of the opposing tooth. Sliding hammers work by using a tip to engage the crown margin and sliding the weight along the shaft and tapping this to loosen the restoration. Several versions are available. Some are weighted, others are spring loaded. This system is uncomfortable for the patient and is not always successful. It is also contraindicated for periodontically involved teeth, as it can cause unwanted extractions. This system can also damage the ceramic margins. A slot is cut using the side of a long tapered bur, normally on the buccal surface of the crown, all the way into the cement lute. A flat plastic instrument, straight Warrick James, Couplands elevators or dedicated systems such as the WamKey, is inserted into the slot created to wedge the crown apart from the tooth. Based on the “jack-screw” principle, the Metalift system works by drilling a precision channel through the occlusal surface of a cast restoration, then with a special bur, the area around the periphery of the hole is undermined before a threaded screw is wound into the space. As the screw comes in contact with the core of the restoration, the continued rotation of the screw results in a jacking force that displaces the crown from the preparation. This system can be used to remove both all metal crowns and metal-ceramic crowns, although, with metal-ceramic crowns care should be taken to remove enough ceramic from the area where the hole created to reduce the chances of fracture. The minimum thickness of metal required for the lifting action is approximately 0.5mm. The damage can repaired with a plastic filling material. There is some evidence of gold dental prosthesis dating back to the Etruscans. ^ "Dental Crowns: Uses, Types, and How the Procedure Is Done". Webmd.com. 2010-11-16. Retrieved 2013-06-16. ^ THE BRITISH SOCIETY FOR RESTORATIVE DENTISTRY. "CROWNS, FIXED BRIDGES AND DENTAL IMPLANTS GUIDELINES" (PDF). bsrd.org.uk. ^ a b c Jacobs, D J; Steele, J G; Wassell, R W (March 2002). "Crowns and extra-coronal restorations:Considerations when planning treatment". British Dental Journal. 192 (5): 257–267. doi:10.1038/sj.bdj.4801350. ISSN 1476-5373. ^ a b c d e Bartlett, David W. (2007). Indirect restorations. Ricketts, David (David Nigel James). London: Quintessence. ISBN 9781850970781. OCLC 85689299. ^ Stavropoulou, A.F. ; Koidis, P.T. (October 2007). "A systematic review of single crowns on endodontically treated teeth". Journal of Dentistry. 35 (10): 761–767. doi:10.1016/j.jdent.2007.07.004. ISSN 0300-5712. PMID 17822823. ^ Fedorowicz, Z., Carter, B., de Souza, R. F., Chaves, C. A., Nasser, M., & Sequeira-Byron, P. (2012). Single crowns versus conventional fillings for the restoration of root filled teeth. Cochrane Database Syst Rev, 5. ^ a b c Wassell, R W; Walls, A W G; Steele, J G (February 2002). "Crowns and extra-coronal restorations: Materials selection". British Dental Journal. 192 (4): 199–211. doi:10.1038/sj.bdj.4801334. ISSN 1476-5373. ^ "Revised Classification System for Alloys for Fixed Prosthodontics". www.ada.org. Retrieved 2018-03-15. ^ Howe, Bernard G.N. Smith, Leslie C. (2007). Planning and making crowns and bridges (4th ed.). Abingdon, Oxon, UK: Informa Healthcare. p. 34. ISBN 978-0415398503. ^ a b c d e f g Bonsor, Stephen J. (2013). A clinical guide to applied dental materials. Pearson, Gavin J. Amsterdam: Elsevier/Churchill Livingstone. ISBN 978-0702031588. OCLC 824491168. ^ "Direct and indirect restorative materials". The Journal of the American Dental Association. 134 (4): 463–472. April 2003. doi:10.14219/jada.archive.2003.0196. ^ Encke, B. S.; Heydecke, G.; Wolkewitz, M.; Strub, J. R. (March 2009). "Results of a prospective randomized controlled trial of posterior ZrSiO(4)-ceramic crowns". Journal of Oral Rehabilitation. 36 (3): 226–235. doi:10.1111/j.1365-2842.2008.01918.x. ISSN 1365-2842. PMID 18976267. ^ Ahmad Irfan (2012). Prosthodontics at a glance. Chichester, West Sussex, UK: Wiley-Blackwell. ISBN 978-1405176910. OCLC 804664937. ^ a b "Ceramics in Dental Restorations – A Review and Critical Issues". Azom. October 8, 2002. Retrieved 2012-01-12. ^ AL-AMLEH, B.; LYONS, K.; SWAIN, M. (April 2010). "Clinical trials in zirconia: a systematic review". Journal of Oral Rehabilitation. 37 (8): 641–52. doi:10.1111/j.1365-2842.2010.02094.x. ISSN 0305-182X. PMID 20406352. ^ Miyazaki, T; Hotta, Y (2011-05-13). "CAD/CAM systems available for the fabrication of crown and bridge restorations". Australian Dental Journal. 56: 97–106. doi:10.1111/j.1834-7819.2010.01300.x. ISSN 0045-0421. PMID 21564120. ^ Mundhe, Kailas; Jain, Veena; Pruthi, Gunjan; Shah, Naseem (September 2015). "Clinical study to evaluate the wear of natural enamel antagonist to zirconia and metal ceramic crowns". The Journal of Prosthetic Dentistry. 114 (3): 358–363. doi:10.1016/j.prosdent.2015.03.001. PMID 25985742. ^ a b c d Shillingburg, Herbert T.; Sather, David A. (2012). Fundamentals of fixed prosthodontics. Shillingburg, Herbert T., Sather, David A. (Fourth ed.). Hanover Park, IL. ISBN 9780867154757. OCLC 885208898. ^ a b c "Guidelines for crown and bridge. British Society for Restoration Dentistry". The European Journal of Prosthodontics and Restorative Dentistry. 7 (1): 3–9. March 1999. ISSN 0965-7452. PMID 10865373. ^ Martinoff, James T.; Sorensen, John A. (1984-06-01). "Intracoronal reinforcement and coronal coverage: A study of endodontically treated teeth". Journal of Prosthetic Dentistry. 51 (6): 780–784. doi:10.1016/0022-3913(84)90376-7. ISSN 0022-3913. PMID 6376780. ^ CHRISTENSEN, GORDON J. (March 1997). "TOOTH PREPARATION AND PULP DEGENERATION". The Journal of the American Dental Association. 128 (3): 353–354. doi:10.14219/jada.archive.1997.0200. ^ a b Juloski, Jelena; Radovic, Ivana; Goracci, Cecilia; Vulicevic, Zoran R.; Ferrari, Marco (January 2012). "Ferrule Effect: A Literature Review". Journal of Endodontics. 38 (1): 11–19. doi:10.1016/j.joen.2011.09.024. PMID 22152612. ^ a b c Jotkowitz, A.; Samet, N. (July 2010). "Rethinking ferrule – a new approach to an old dilemma". British Dental Journal. 209 (1): 25–33. doi:10.1038/sj.bdj.2010.580. ISSN 1476-5373. PMID 20616834. ^ a b Sorensen, John A.; Engelman, Michael J. (May 1990). "Ferrule design and fracture resistance of endodontically treated teeth". The Journal of Prosthetic Dentistry. 63 (5): 529–536. doi:10.1016/0022-3913(90)90070-s.
^ Yang, An; Lamichhane, Aashwini; Xu, Chun (2016). "Remaining Coronal Dentin and Risk of Fiber-Reinforced Composite Post-Core Restoration Failure: A Meta-analysis". The International Journal of Prosthodontics. 28 (3): 258–264. doi:10.11607/ijp.4157. ^ "Restorations in primary teeth: a systematic review on survival and reasons for failures". BDJ. 224 (10): 787. 2018-05-25. doi:10.1038/sj.bdj.2018.416. ISSN 0007-0610. PMID 29795498. ^ Sardana, Divesh; Khurana, Deepti; Indushekar, KR; Saraf, Bhavnagupta; Sheoran, Neha (2018). "A randomized controlled clinical trial to evaluate and compare three chairside techniques of veneering stainless steel crowns Khurana D, Indushekar K R, Saraf BG, Sheoran N, Sardana D - J Indian Soc Pedod Prev Dent". Journal of Indian Society of Pedodontics and Preventive Dentistry. 36 (2): 198–205. doi:10.4103/JISPPD.JISPPD_3_18. PMID 29970639. ^ Innes, Nicola PT; Ricketts, David; Chong, Lee Yee; Keightley, Alexander J.; Lamont, Thomas; Santamaria, Ruth M. (2015-12-31). "The Cochrane Library". Cochrane Database of Systematic Reviews (12): CD005512. doi:10.1002/14651858.cd005512.pub3. PMID 26718872. ^ University of Dundee. "The Hall Technique: A minimal intervention, child-centred approach to managing the carious primary molar" (PDF). ^ a b c d e Wassell, R W; George, G St.; Ingledew, R P; Steele, J G (June 2002). "Crowns and other extra-coronal restorations: Provisional restorations". British Dental Journal. 192 (11): 619–630. doi:10.1038/sj.bdj.4801443. ISSN 1476-5373. ^ a b McCabe, John F. (2008). Applied dental materials. Walls, Angus. (9th ed.). Oxford, UK: Blackwell Pub. ISBN 9781405139618. OCLC 180080871. ^ Ahlholm, Pekka; Sipilä, Kirsi; Vallittu, Pekka; Jakonen, Minna; Kotiranta, Ulla (January 2018). "Digital Versus Conventional Impressions in Fixed Prosthodontics: A Review". Journal of Prosthodontics: Official Journal of the American College of Prosthodontists. 27 (1): 35–41. doi:10.1111/jopr.12527. ISSN 1532-849X. PMID 27483210. ^ Sakornwimon, Nawapat; Leevailoj, Chalermpol (September 2017). "Clinical marginal fit of zirconia crowns and patients' preferences for impression techniques using intraoral digital scanner versus polyvinyl siloxane material". The Journal of Prosthetic Dentistry. 118 (3): 386–391. doi:10.1016/j.prosdent.2016.10.019. ISSN 1097-6841. PMID 28222872. ^ a b Reiss, B.; Walther, W. (Sep 2000). "Clinical long-term results and 10-year Kaplan-Meier analysis of CEREC Restorations". Int. Journal of Computerized Dentistry. 3: 8. ^ a b c d e "BlocTalk" (PDF). Archived from the original (PDF) on 2006-10-20. ^ Abozenada, B; Pober, R; Giordano, R (2002). "In-vitro wear of restorative dental materials". J. Dent. Res. 81. 1693. doi:10.1177/0022034502081S101. ^ Bremer, BD; Geurtsen, W.J (Aug 2001). "Molar fracture resistance after adhesive restoration with ceramic inlays or resin-based composites". Dent. 14 (4): 216–20. ^ Krejci, I., Wear of ceramic and other restorative materials. International Symposium on Computer Restorations. Quintessence, 245-251, 1991. ^ Krejci, I (1990). 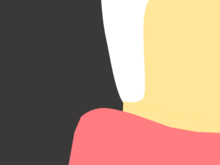 "Wear of enamel and amalgam and their enamel antagonists in a computer-simulated chewing simulation". Schweiz Monatsschr Zahnmed. 100: 1285. ^ Masek, R (July 1999). "Reproducing natural color effects on milled ceramic restorations". Int J Comput Dent. 2 (3): 209–17. PMID 11351485. ^ Masek, R (January 2005). "Margin isolation for optical impressions and adhesion". Int J Comput Dent. 8 (1): 69–76. PMID 15892526. ^ a b c d e f Bun San Chong (2004). Managing endodontic failure in practice. Quintessence. ISBN 1850970866. OCLC 727913173. ^ a b c d e Sharma, A.; Rahul, Gr. ; Poduval, St.; Shetty, K. (2012). "Removal of failed crown and bridge" (PDF). Journal of Clinical and Experimental Dentistry: e167–e172. doi:10.4317/jced.50690.